I have been a fan of Front Porch Forum since I first heard about it several years ago, when it started in the Burlington area. At the time, I was working for The Orton Family Foundation, and we at the Foundation were developing, testing, and advocating for a wide range of community building tools. FPF was in its early stages, but already winning awards, including one I think from the Foundation. 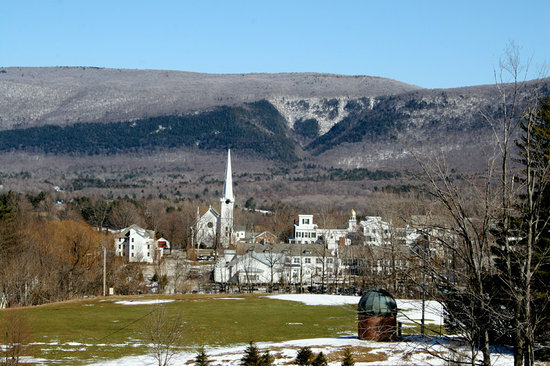 When I am not at home in Manchester, I spend a lot of time in Lyme, New Hampshire, a community that has its own “listserve” – not technically an FPF, but certainly similar. Daily people are looking for something, selling or giving away something, looking for service, seeking lost pets, finding ride-shares, announcing meetings, inviting people to events, etc, etc. I imagine that FPF in Manchester can and will develop into the same sort of well appreciated and powerful local communication tool. In addition to meeting this sort of individual need, the listserve enables lively discussions on community topics….for example, a current topic in Lyme has to do with whether the community should or should not have a skating surface on the common, the related issues, and who is willing step up to maintain it. At the moment, I have nothing to sell or give away, nor am I looking for a service, but for sure I will post a note when I need to. I am, however, encouraging my friends to join, and I hope you will too. The more people involved, the more powerful the site will be. For those of you who are looking for something or have something to sell or give away, go ahead and post it to get the ball rolling! Your post regarding Front Porch Forum was well said and received. I too was living in the Burlington area when FPF was in its infancy and enjoyed hearing about neighborhood yard sales, items for sale, and other general neighborhood news. To my knowledge, nothing inappropriate ever made it to my desktop and it was easy to communicate back and forth with someone seeking a service or product that I might be able to supply. Looking forward to hearing from others in our neighborhood soon.